July | 2016 | Between Two Tides. By the Middle Age, the science of harnessing the curative essence of ‘simple’ plants had reached its prime. The knowledge of which plant healed a particular ill, where it grew, its preparation and application was carried by Healers, Monks and Hospitallers across Europe. 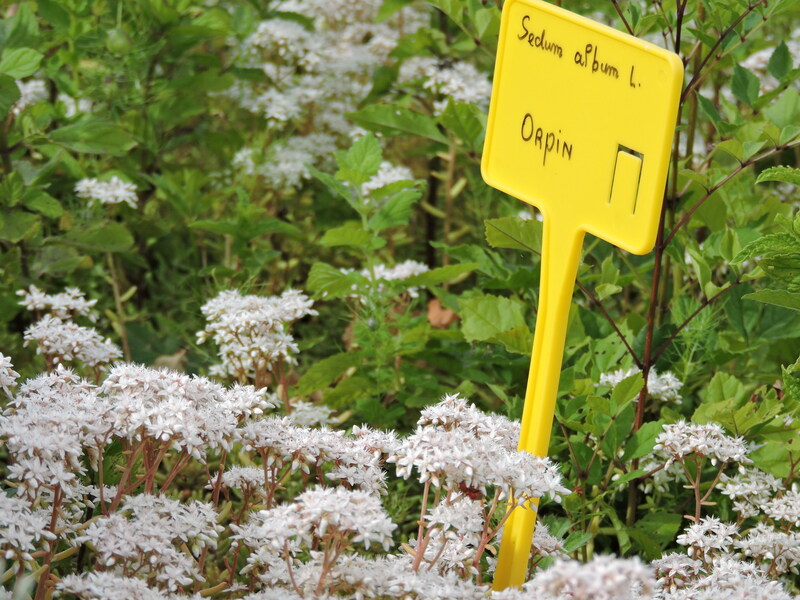 Many common medicinal plants could be gathered from meadows, forests and the immediate environment. Those that were more rare, or that came from foreign soils were cultivated in the Medieval garden. 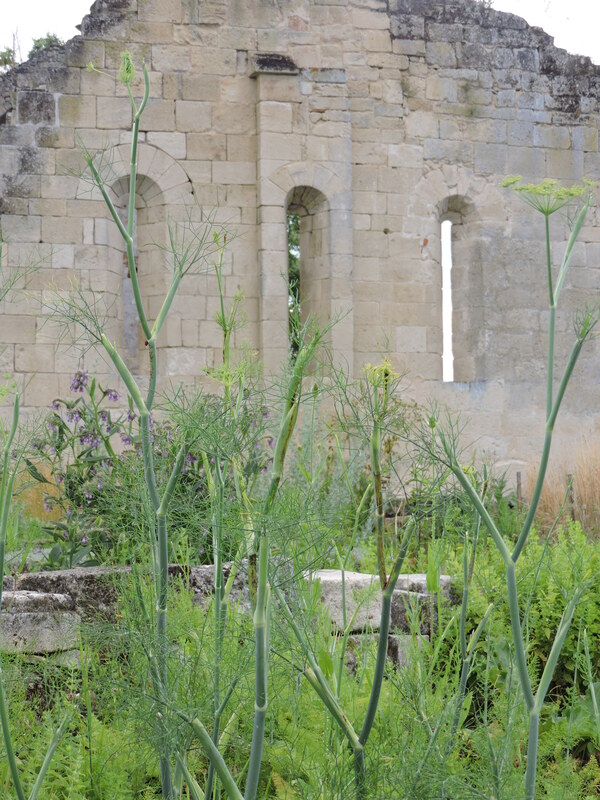 A garden such as this once grew in La Commanderie de Sallebruneau, built by the Knights of The Order of Templar, sometime in the thirteenth century, later becoming The Hospitaliere de St-Jean de Jérusalem. Through several centuries, the soldier Monks offered protection, respite and healing to the pilgrims that walked ‘Le chemin de Jaçques Compostella’. 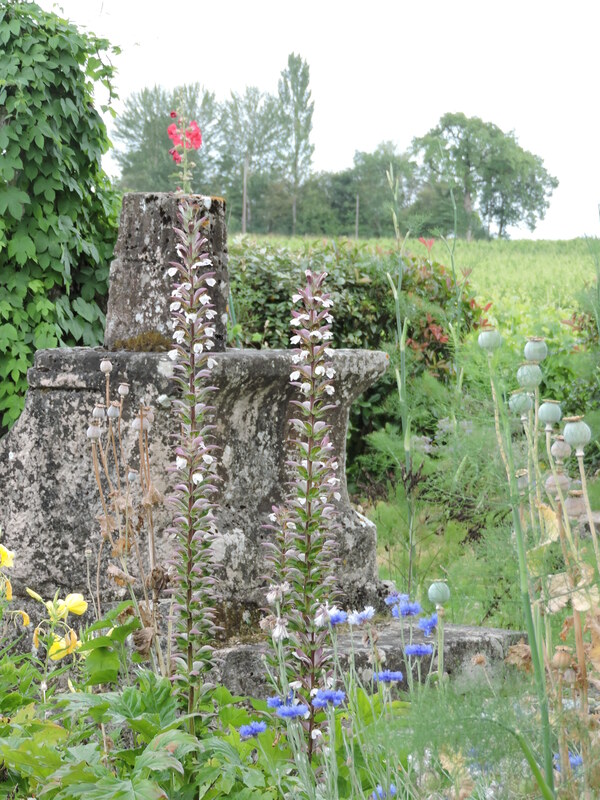 Today a simple garden has been re-established next to the ruined Commanderie. Healing plants and herbs are cultivated to show and educate visitors. The leaves and stems of the White stonecap were applied externally to reduce inflammations, particularly recommended for haemorrhoids. The tall Acanthe, or one of its common names, Donkeys herb, was prescribed as a heart stimulant. Tea of Wild Fennel seed treated indigestion, colic, flatulence, also reduced fever and pain, was an antidepressant, and even stimulated milk flow in nursing women. During our visit this day, a sad slug eaten plant caught our interest. It was the Mandrake. We learned that its roots resemble the human form, sometimes male, or female, and is the part of the plant used in medicinal treatment. Its anesthetic and soporific properties meant that it was ideal for surgeries, for example dental. But it became a poison that led to delirium and madness if over prescribed. It was considered an aphrodisiac and a charm for aiding women to become pregnant. Its associations with witchcraft led to its use being forbidden by the Church. 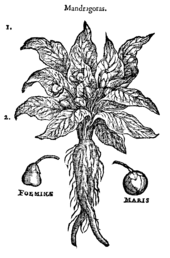 The gardener at the Commanderie told us that someone had presented her with four seeds from the fruit of a mature Mandrake plant, that she had successfully nurtured one to leaf, and was waiting patiently for its flowering. 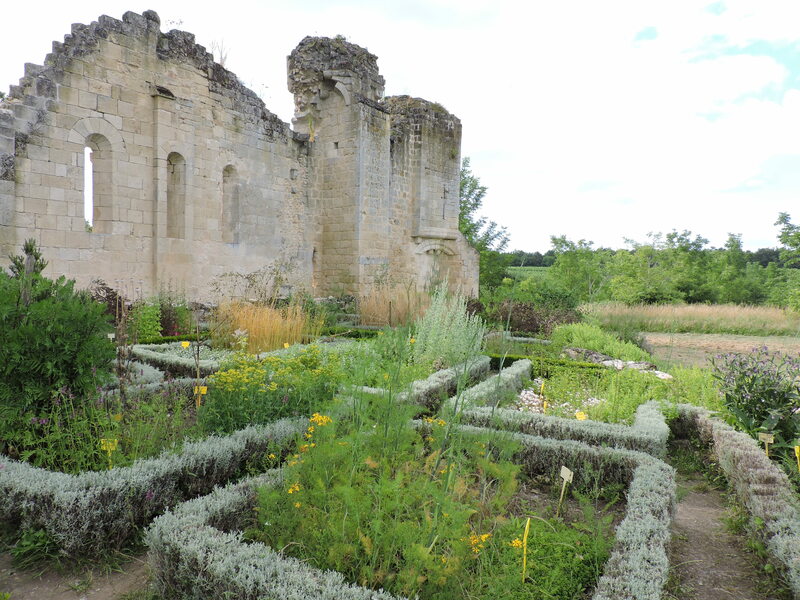 It was such pleasure to wander around a Medieval garden that contains herbs and simples, with their odours and colours, exploring and learning a little about the ancient art and science of using medicinal plants. And with no effort I fell under the spell of its history, and charm. Gods love, and a bed. I referenced Wikipedia for some information and illustration, and the website of l’Association Recherches Archéologiques Gironde.